A spokesperson for the plant said it’s too early to comment on the cause, but it appears that misaligned mirrors are to blame. The Associated Press quoted Mike McClintock, the San Bernardino County fire captain, who said that some mirrors delivered sunlight to a different level on the third unit, causing electrical cables to catch fire. 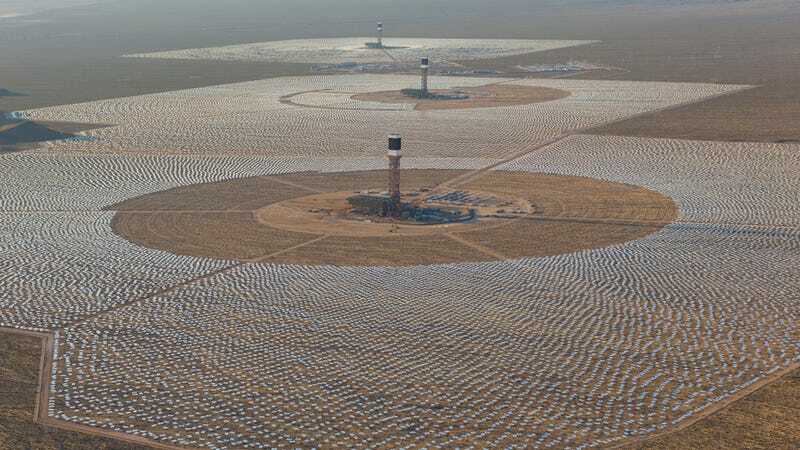 It’s yet another setback for the Ivanpah facility. For the past few months, the plant has been unable to meet the output levels stipulated in its power purchase agreement, and it was given an extension until July 31, 2016 to improve performance. This fire obviously isn’t going to help.